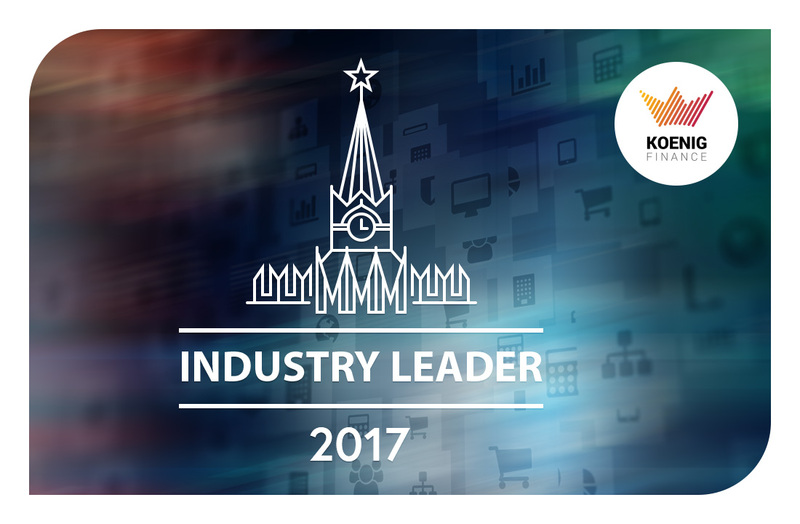 An annual survey conducted by the Russian Business Rating in the North-West Region showed that KoenigTech is among the top ten leaders of the Group “A” companies, showing persistently strong financial performance. 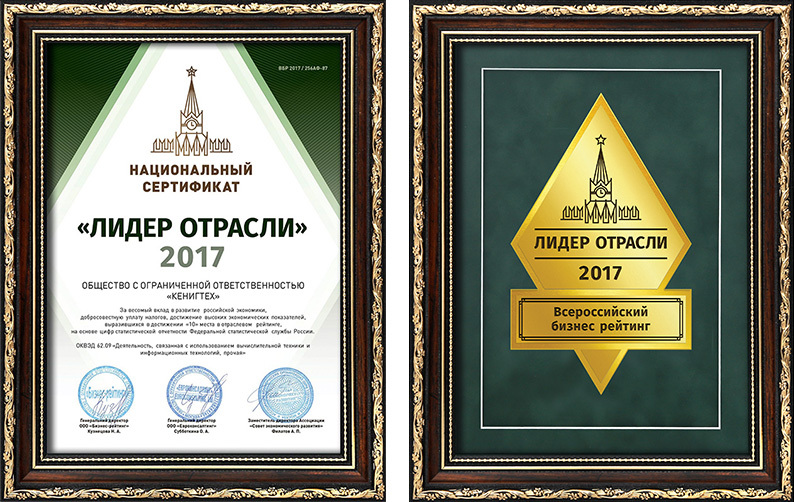 At the end of 2017, our team was awarded national “Industry Leader” certificate confirming our notable contribution to the domestic economy. KoenigTech is a team of professionals in the field of software development. Since the day of company’s foundation, we’ve been working tirelessly on creating new solutions and improving those already launched. Recently KoenigTech has released a unique “Video Identification” component of the KoenigFinance platform. It is a real-time online video chat between a financial organization manager and a client. The feature helps to implement the main principle of the “Know Your Customer” policy – client identification with a high degree of reliability. We have created a completely autonomous system that does not require installation of any additional software on the customer side - a modern web browser will suffice. The video captured during the chat is automatically uploaded to the client’s profile. This technology significantly reduces risks linked to remote verification and is widely used by global financial organizations whose customers are located all over the world. We have also presented a new product – a software platform for self-service payment terminals. This is our company’s own development as well, created with the technologies of the Unity 3D engine, which makes using the terminal as interactive and vivid as possible. The KoenigTech team is constantly working on the improvement of the already existing products. Our goal is to provide customers with the most competitive solutions that help to map out strong growth strategies in the rapidly developing financial market. KoenigTech’s solutions meet all modern requirements, which is confirmed by constant expansion of our client and partner bases. The main principle of our work is to create high-quality software solutions based on advanced technologies oriented to the future.